From New York Times bestselling author Ellery Adams comes the first in an intriguing new series set within a quirky small-town club where the key to happiness, friendship—or solving a murder—can all be found within the pages of the right book . . . Miracle Springs, North Carolina, is a place of healing. Strangers flock here hoping the natural hot springs, five-star cuisine, and renowned spa can cure their ills. If none of that works, they often find their way to Miracle Books, where, over a fresh-baked “comfort” scone from the Gingerbread House bakery, they exchange their stories with owner Nora Pennington in return for a carefully chosen book. That’s Nora’s special talent—prescribing the perfect novel to ease a person’s deepest pain and lighten their heaviest burden. When a visiting businessman reaches out to Nora for guidance, she knows exactly which novels will help. But before he can keep their appointment at Miracle Books, he’s found dead on the train tracks. 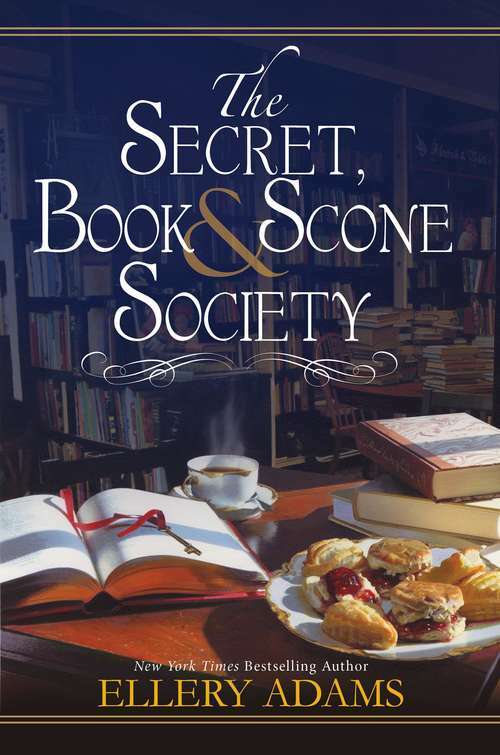 Stunned, Nora forms the Secret, Book, and Scone Society, a group of damaged souls yearning to gain trust and earn redemption by helping others. To join the society, members must divulge their darkest secret—the terrible truth that brought each of them to Miracle Springs in the first place. Determined to uncover the truth behind the businessman’s demise, the women meet in Nora’s cramped and cozy bookstore to share stories and trade support. And as they untangle a web of corruption, they also discover their own courage, purpose, and a sisterhood that will carry them through every challenge—proving it’s never too late to turn the page and start over . . .